Urban Sketchers Seattle: There's a Tibetan Monastery in Seattle? There's a Tibetan Monastery in Seattle? Who knew? Not me. 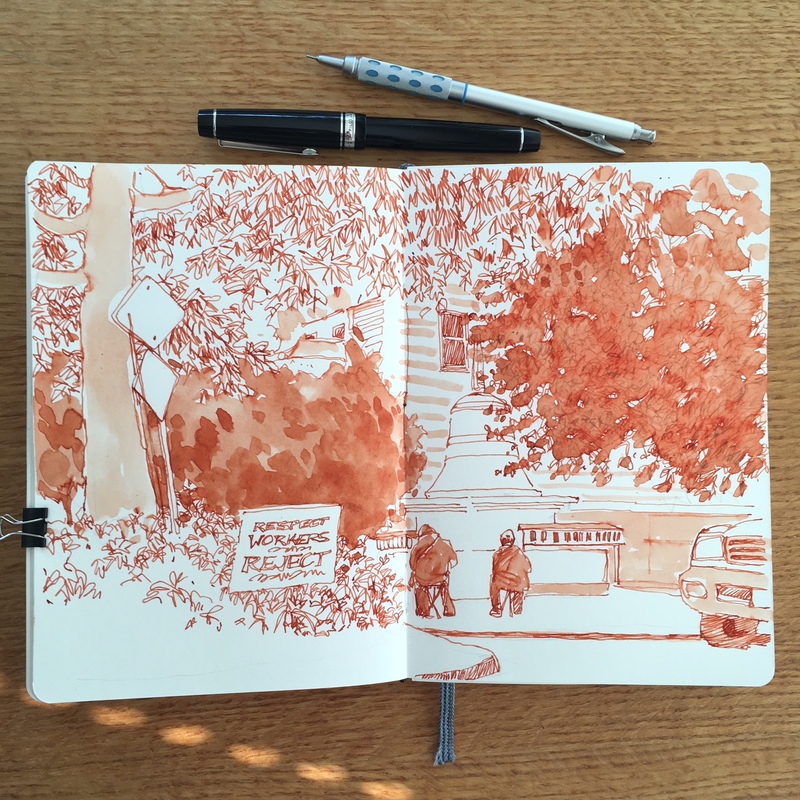 I can't tell you how many things I have seen in Seattle because of Urban Sketchers. I liked this glimpse of the bell shaped stupa through the trees. The monastery's website explains that the stupa is a memorial to one of it's founding lamas. The drawing shows a bit of the surrounding neighborhood, the traffic circle in front of the monastery and a couple of other urban sketchers who are appropriately bundled up for what turned out to be a really chilly day in August! So lovely, Sue. And what a fitting color for the subject matter. Beautiful.